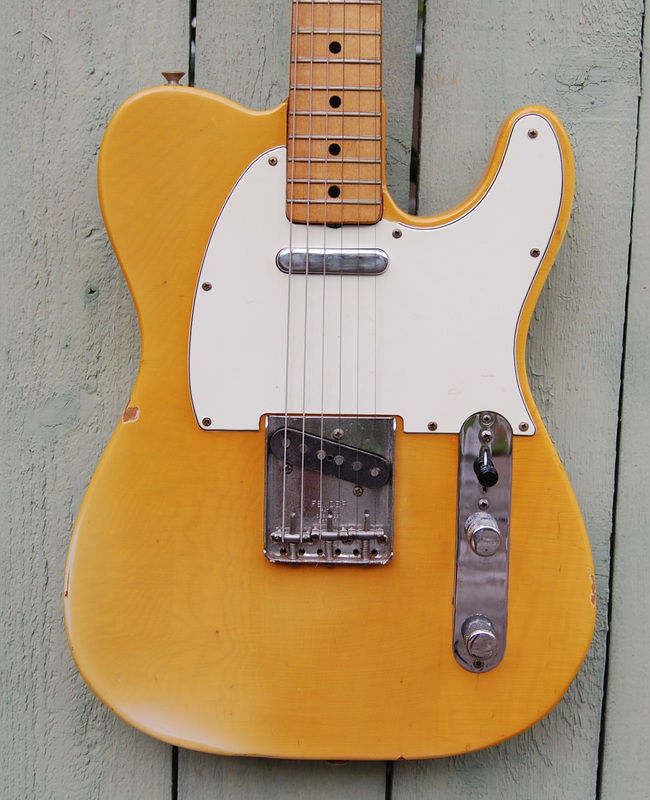 Nice 1972 Fender Telecaster. 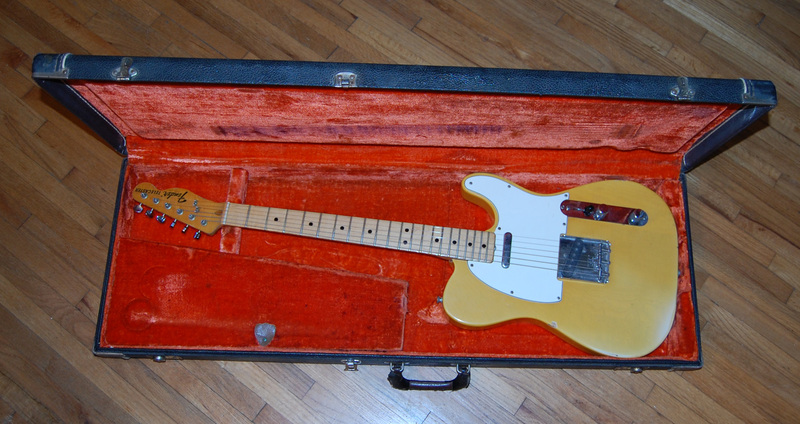 Possibly the best playing Tele I have ever owned. All original. Brand new jumbo frets. Plenty of honest play wear. 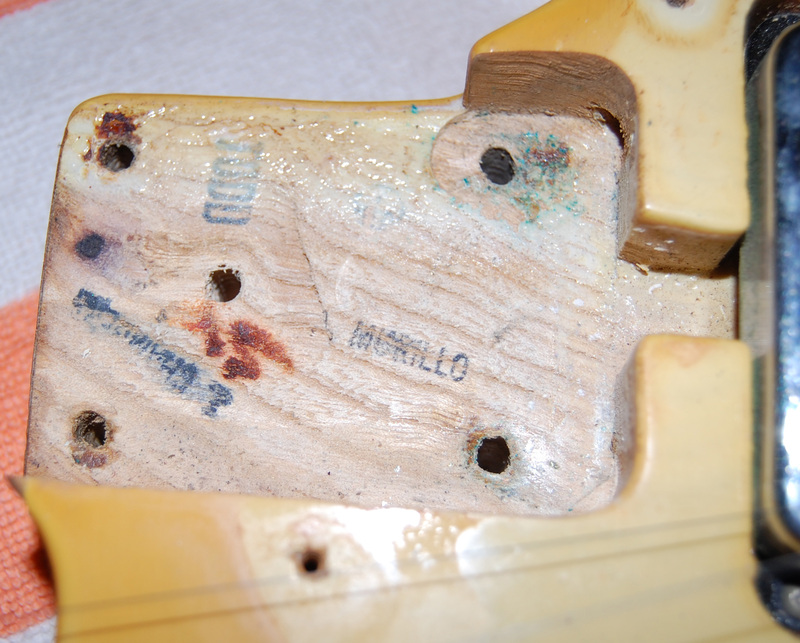 Neck is dated 1972B. The B is for a thin neck. 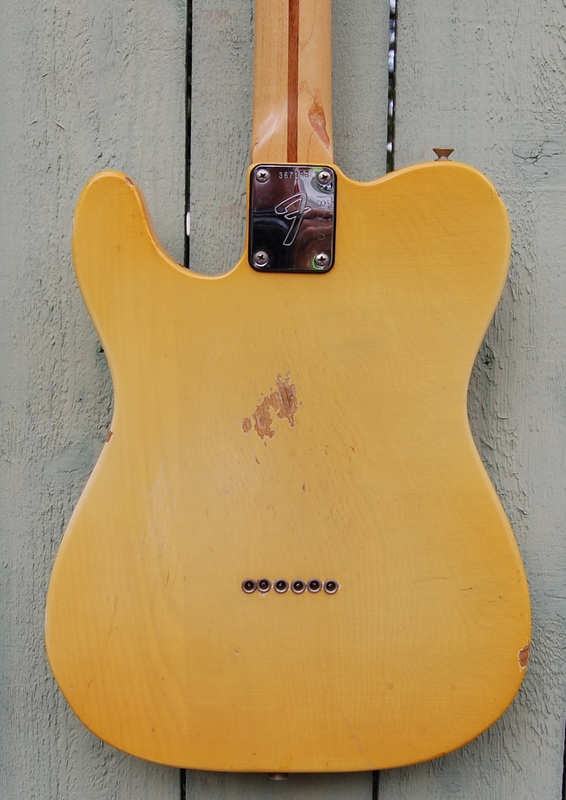 Feather weight for a 70s Tele at a mere 8 pounds 1 ounce. This one feels great. Super low action. No buzzing. New jumbo frets . Superb refret. 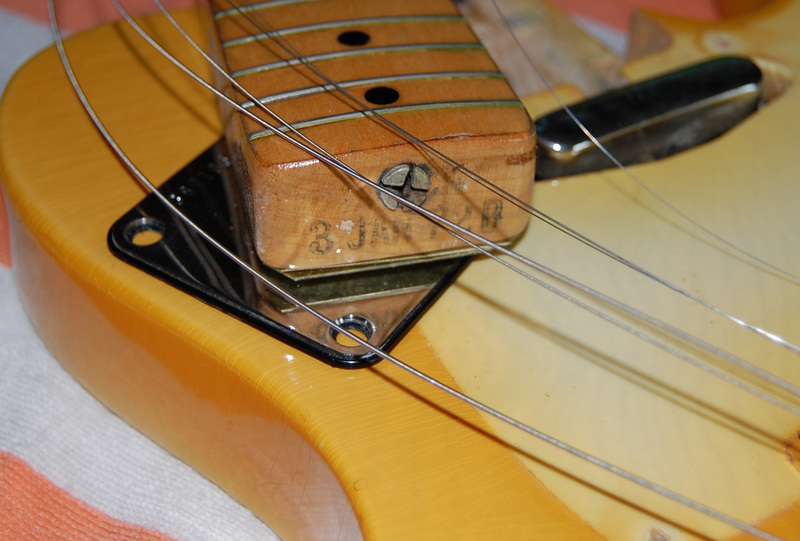 The original pickups have been rewound and potted by Lindy Fralin. 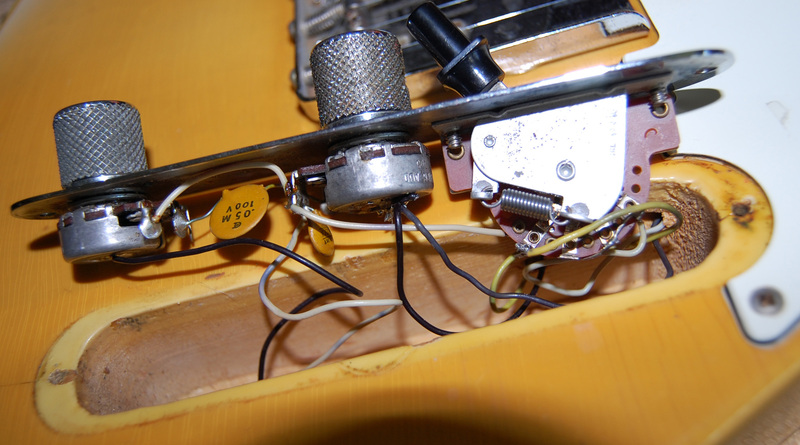 He uses factory spec to bring the original pickup to new original specs. 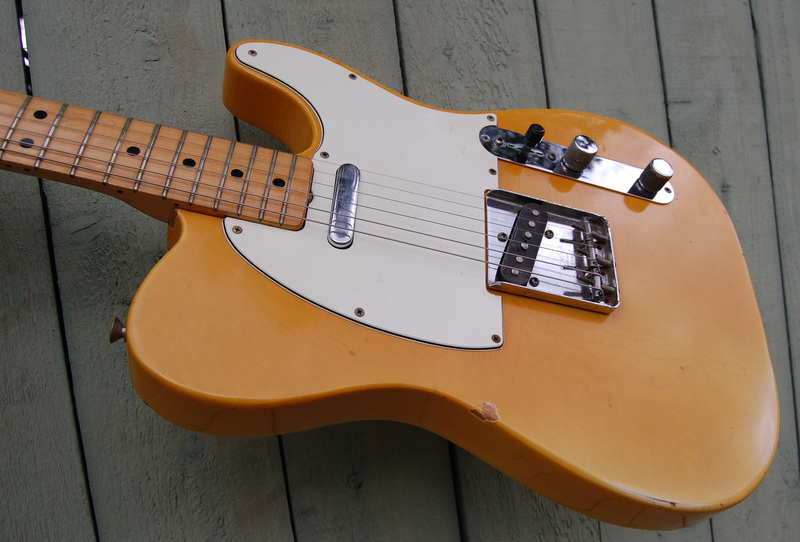 This is THE Telecaster tone everyone wants. Twangy. 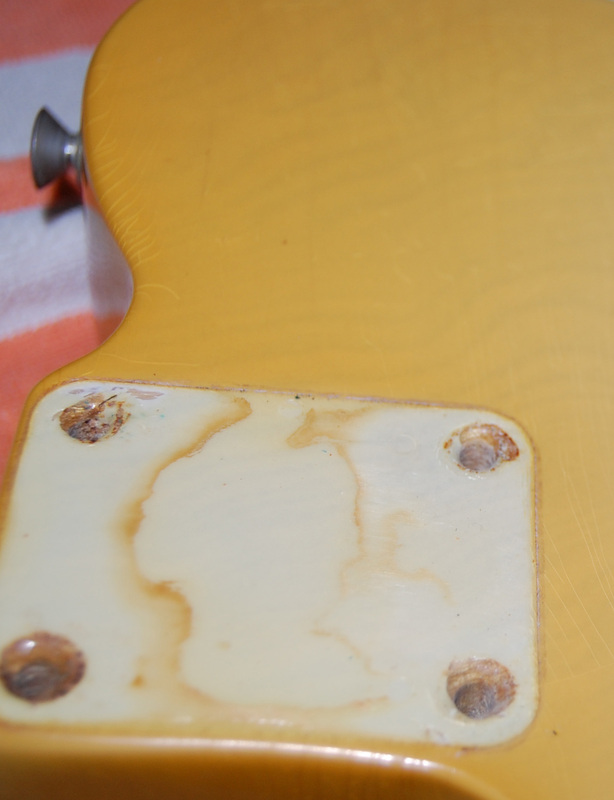 Plenty of finish checking. 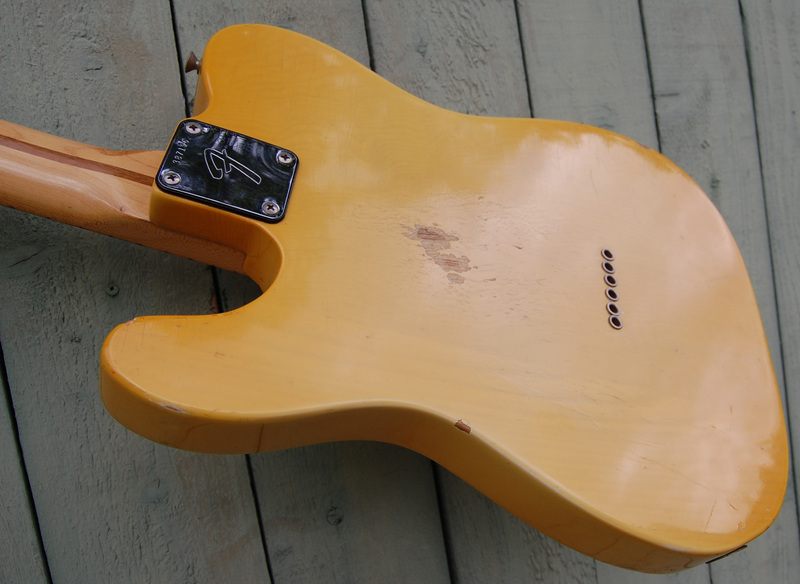 The original see through white finish has turned a cool shade of nicotine blonde. No odors. No disappointments here. Original case is in good functional condition. All latches work. No smells.